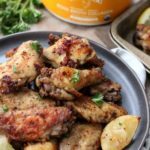 These Whole30 and Paleo lemon pepper chicken wings are the perfect low carb appetizer, game day recipe, or family friendly crispy chicken wing recipe. 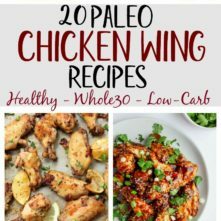 But, I have to admit, I feel like I’ve failed you in the Whole30 chicken wing department lately. 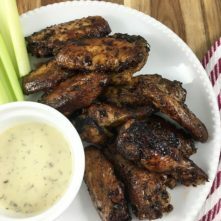 Can you believe it’s been over a month since I’ve added a new addition to the wing recipe collection on the blog?! It’s completely unforgivable. 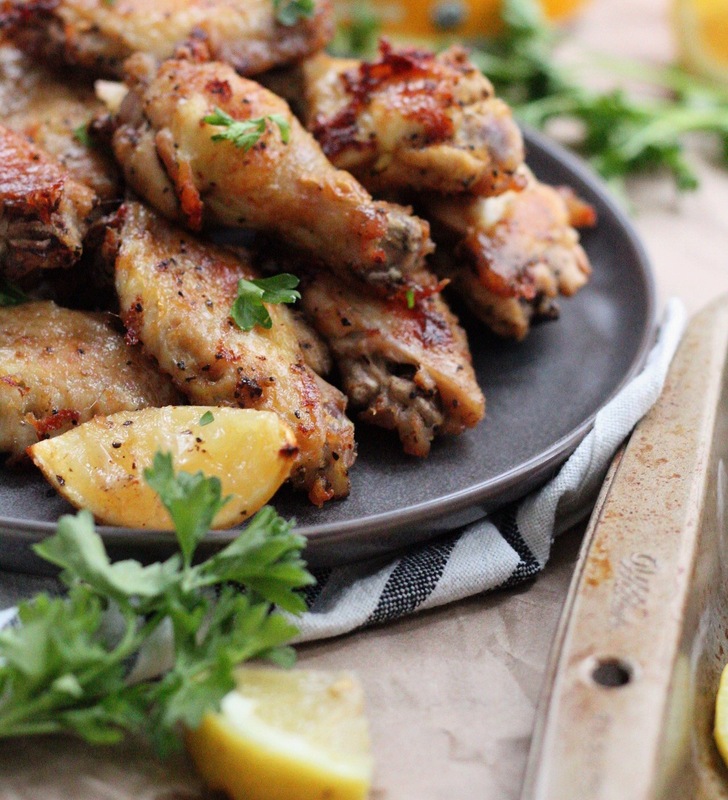 I know you’ll love these crispy lemon pepper chicken wings as much as I do though, and that will make up for my oversight at least a little bit I hope! Click to Save to Pinterest! 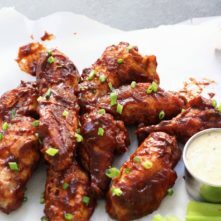 You might think I made these specifically for the Super Bowl, but in all honesty, I just wanted wings. 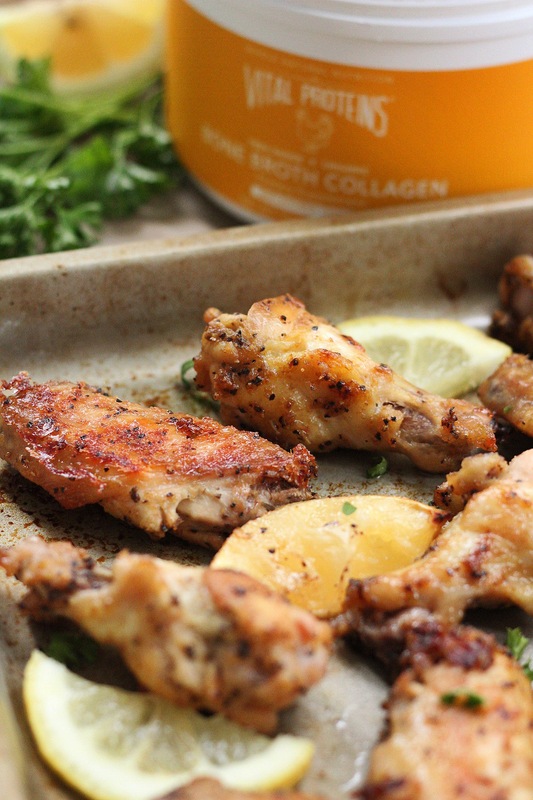 More specifically, I wanted these crispy Paleo lemon pepper chicken wings. They’re such a classic, so it’s just a bonus that they’re easy to make and everyone loves them. So if you are willing to share, unlike me, and are needing a home run recipe to bring to the party, this is it! I’d definitely double the recipe if I were you though! Also, I was going to write “slam dunk” instead of “home run” but couldn’t decide which made me roll my eyes harder at my own bad joke. 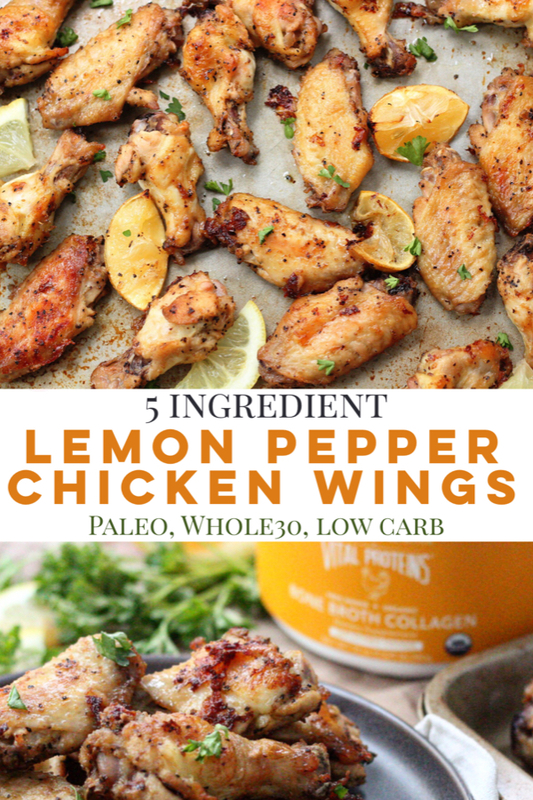 I’m sure you saw the part in the title about the Paleo lemon pepper chicken wings only being 5 ingredients. And, ya’ read it right! 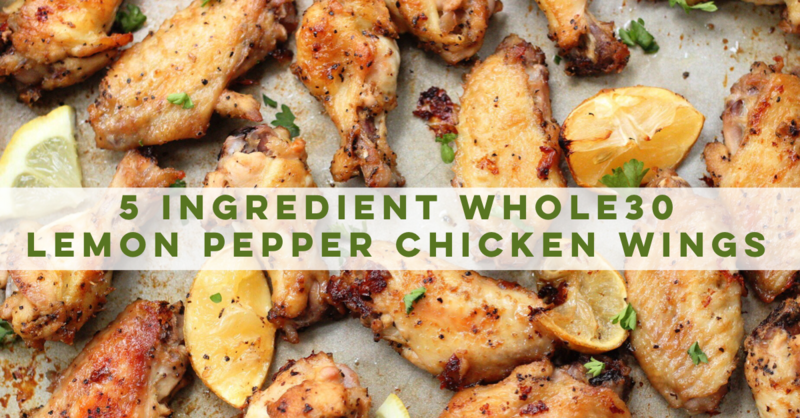 Only 5 ingredients to make the wings taste so darn good. When you’re baking wings in the oven and wanting to maximize flavor, sometimes less is more. You’re just going to need a few spices you already have in your cabinet, some Vital Proteins Chicken Bone Broth Collagen, a bit of oil and lemon juice. I use this bone broth as opposed to the carton variety because it’s used the same way regular broth is – just add water! Not only does it have the benefits of collagen, but it’s so dang convenient to have bone broth whenever I need it. I wish I could add up how much money I’ve wasted in the last few years by opening a carton of bone broth, using the 1 or 2 cups I needed for a recipe, and forgetting about it in the back of my fridge. I don’t think I’ve ever gone through a carton of bone broth in the 7 days it’s good for after it’s opened. Ever. With my powdered Whole30 Approved Vital Proteins Bone Broth, I never waste any money, it seems to last forever and it’s always there waiting for me. I also got real sick of standing in the broth aisle spending 20 minutes looking for a carton that didn’t have junk added to it. Vital Proteins Bone Broth Collagen ingredient label reads: bone broth. Sold. 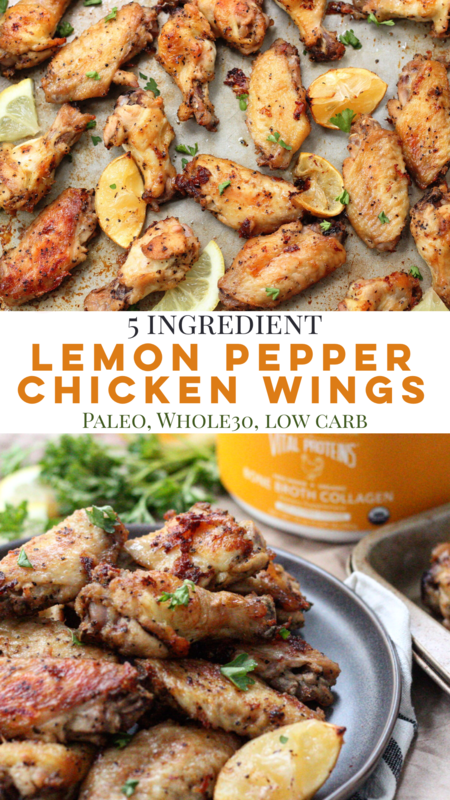 Lemon Pepper Chicken Wings: Paleo, Whole30 & 5 Ingredients!